Not just the best in 2009. The best ever. 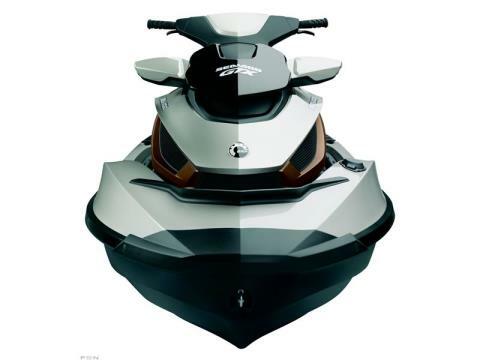 The GTX Limited iS 255, equipped with iControl™, the world's most advanced watercraft system, interactive gauges, a high performance Variable Trim System, three-up riding and touring seat, will turn countless heads. Of course, with an authoritative 255 horsepower Rotax® 4-TEC® engine under the dashing exterior, this PWC will be nothing but a blur anyway. Supercharged Intercooled 1,494 cc Four-Stroke, Rotax SOHC with Four Valves Per Cylinder: 255 hp Supercharged Intercooled Rotax 4-TEC engine provides reliable ultra-high performance in fresh or salt water, increased torque at low RPM, optimized power at all RPM levels and throttle positions. iTC (Intelligent Throttle Control): Operates electronically, with no cable. This means the throttle works progressively. Cruise control mode and slow speed mode. 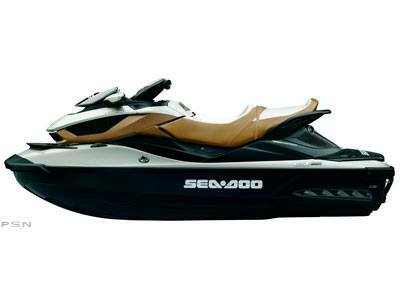 Sea-Doo® New Learning Key: The new programmable L-Key allows you to set and reset the limit engine RPM as you want it. Warning Device: Warns operator of engine and exhaust over- heating, engine management and system failure. Fold-down Reboarding Step: Grooved fold-down for easy reboarding. Tilt Steering: Alters the steering and information center angle for maximum ease and comfort. S3 Hull: Lightweight material, ribbed and stepped. Creates a low-pressure zone to reduce drag for nimble handling and rail-tight cornering. iS (Intelligent Suspension): Allows the hull to move independently of the upperdeck, isolating rider and passenger from the impact of rough water. Adjustable manual or automatic mode. Hinged Seat: Provides easy access to the engine compartment while remaining attached to the watercraft. 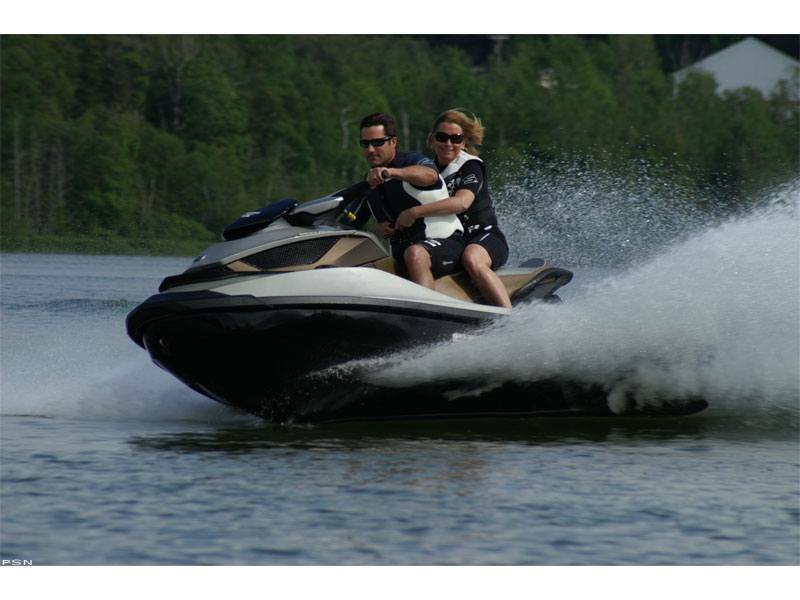 High Performance Electric Variable Trim System (VTS™): Provides pre-set positions for quick settings when adjusting boat trim, maximizes acceleration and high-speed stability. Deep-V Design: Ensures a smooth and comfortable ride in a variety of conditions, and greater maneuverability. Touring Seat: Ergonomically designed for comfort and great looks providing seating for three. Reboarding Platform with Rear Storage: Easy access to battery, fuses and storage. Removable, Watertight Storage Bin: Provides dry storage for luggage and necessities with easy access. Safety Kit: Contains all the essential safety equipment. Depth Finder: Informs rider of water depth. Speed Tie®: Automatic retractable mooring lines eliminate the hassles of traditional docking lines. Sandbag Anchor: Easy way to hold your boat in one position. New Glove Box Organizer: Ideal to keep gear or cell phone dry; now removable and watertight. Removable Dry Bag: Keeps contents dry and converts to backpack when removed. Recessed Cargo Cleats: Convenient attachment point. 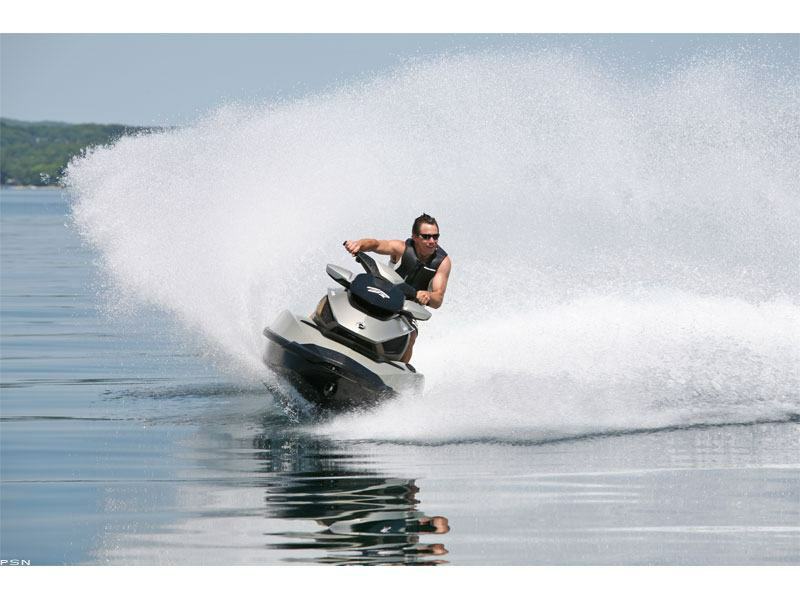 iBR (Intelligent Brake & Reverse): The world’s first on-water braking system for a PWC. 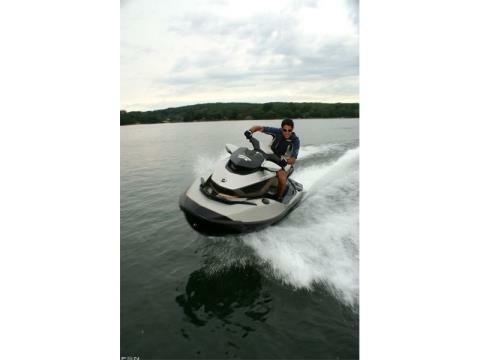 Gives riders the ability to bring their PWC to a controlled stop, on their terms. Reverse, start in neutral.